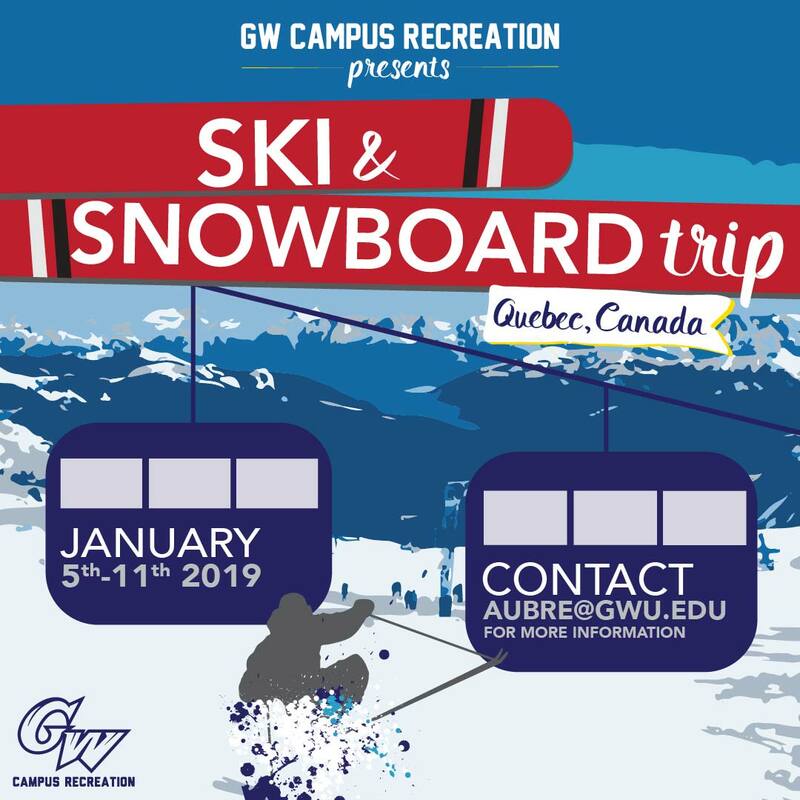 Ski & Snowboard Trip: Quebec City, Canada. January 5-11, 2019. $200 non-refundable deposit is required. Final payments are due by December 4, 2018. For more infomation contact the Campus Recreation office at 202-994-7546 or [email protected].